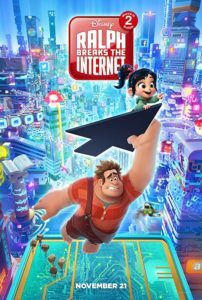 Up until about a third of the way through the film, Ralph Breaks the Internet had me worried. 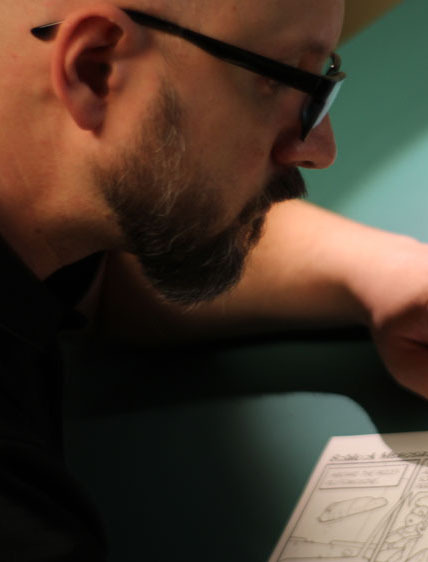 It wasn’t doing anything new, and the conflict was a pretty soft one, and I was afraid the film wasn’t going to give us anything like the joy¹ we got from Wreck-It Ralph. And then it got better. Lots better. We’ve known for years that Princess Vanellope is technically (and literally, and actually) a Disney princess. Disney owned this, and went on to own (and give themselves a good roasting for) all the associated princess tropes they’ve built during the last eighty years. Snippets of the “princesses” scene have appeared in trailers, but the full scene takes it further. And then Disney doubled-down on it, and gave Vanellope a very, VERY Disney Princess moment of her own. Speaking of trailers, there’s a trailer for the film which features a mobile game called “Pancake Milkshake.” I felt just a little robbed when that scene didn’t appear in the film, but then I sat through the credits and let’s just say that if you feel robbed about that kind of thing you should sit through all the credits too. Ralph Breaks the Internet clears my Threshold of Awesome, and is going to be on my must-buy list when the Blu-Ray is available. ¹ Wreck-It Ralph also gives us a master class in how to unflinchingly bottom out the protagonist during that moment when they do the wrong thing by trying to do the right thing. I still cry when Ralph smashes that car. ² The comparison between this sequel and the sequel to The Incredibles is a stark³ one. With Ralph I felt like there was serious risk of Disney letting us down, but they knocked it out of the park. I felt like Disney/Pixar had an easy win with The Incredibles II, but they managed to foul out. ³ If I were the sort of person to make pop culture puns I’d say the comparison goes beyond being merely stark, and heads into the territory of Eddard Stark, but I’m not that sort of person⁴. ⁴ Because footnotes don’t count.